Yeha - the rollercoaster is coming out of the tunnel into the light!! 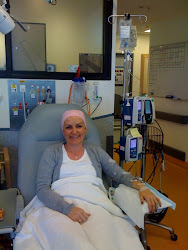 Today I feel so much better - the chemo haze is lifting and I am feeling more like myself again!! Honestly it is as if you are in this dark hole and can't see the way ahead and then you see a glimpse of the light and wheee you are out - and it feels good!!!! So glad it only lasts for a couple of days ! There will be another few loops and whirls in the days ahead but I have a plan in place this time so hopefully they wont be so dramatic when they hit!!! I have had a wonderfully restful day at home - still had Miss c off sick but she is good company even with a temperature!!! Tuesdays are my cleaning day when Glorious G gives everything a sparkle!! It is always such a treat ! I have been able to potter about and do a few bits today - managed a bit of ironing seated - felt good to achieve something - pretty sad when doing ironing gives you a lift hehe -so good to be able to feel a bit more normal!! Yes I know - normal maybe not but at least active hehe !! I had 2 lovely friends pop in this afternoon and felt great to sit on the verhanda and just drink a cuppa together!! G brought me a Louis Giglio DVD - Indescribable -to watch today. Miss C and I watched it together this morning! 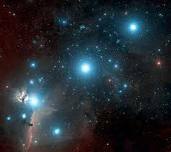 A wonderful presentation of the bigness of the universe , the greatness of God and us. We sat in wonder looking at the milky way and star formations - details from the hubbel telescope and photos of space. There is something quite magical when looking into the somewhere out there !! Well this is just a quick update to let you know the ride continues but rollarcoaster has returned to the light hehe !! Indescribable sneak peek!! Click here for a look !!! !